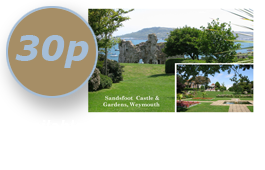 The friends of Rodwell trail and Sandfoot Gardens and Weymouth and Portland Borough Council are thrilled that their application for a Green flag for Sandsfoot Castle and Gardens has been successful. 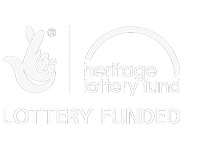 The award recognises the hard work put in by everyone involved in the partnership to renovate the Castle and gardens over the last three years. Assisted by a grant from the Heritage Lottery Fund the fabric of the castle has been repaired to ensure its continued stability and a new walkway has been created inside the castle, so people for the first time in over 50 years, can go inside the castle and see the features that still exist from Tudor times such as fire places and staircases. For an hour each evening after sunset the castle and gardens are now illuminated and are breathtaking in their beauty when lit against the night sky. Visitors to the gardens can enjoy light refreshments at the cafe and then walk through the gardens which contain a pond, shady trees, shrubs, herbaceous borders, tropical palms and bright annual flower beds. Grass areas abound so picnics can be enjoyed whilst the young at heart can play on the grass or rolly polly down the banks. It is hoped that the gardens will retain the green flag for many years to come and that many more people will visit and enjoy them.